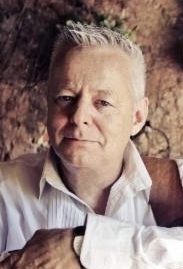 One can describe the playing of finger-style guitarist Tommy Emmanuel with words like “dazzling” or “stunning”, but really he has to be seen (and heard) to be believed. Born in Australia, Emmanuel started performing professionally at the age of six as part of a family band. He went on to play session gigs and was part of the rock group Dragon in the 1980’s, but his career really took off when he embarked on a solo career as an acoustic guitarist extraordinaire. In this mode, he has released dozens of albums and wowed audiences at thousands of shows. His most recent album Live! At The Ryman! documents a triumphant 2016 concert at the famed Grand Ole Opry theater. It’s worth emphasizing that Emmanuel is not just about technical mastery. He’s also an incredibly engaging showman, so you don’t have to be a wannabe guitar hero to enjoy a Tommy Emmanuel concert. This interview was for a preview article for noozhawk.com for the 7/22/17 Tommy Emmanuel concert at the Marjorie Luke Theatre in Santa Barbara, California. It was done by phone on 6/6/17. He came from a land down under, couldn’t get to sleep, and told Johnny to “be good, be good”. Who can it be now? 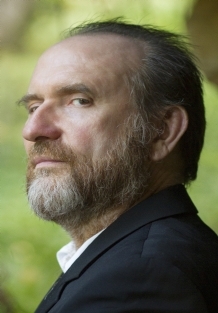 Colin Hay, of course, singer/songwriter for Men At Work, the Australian band which burned bright for a few years in the early 80’s. After Men At Work stopped working, Hay continued sharing his music with the world in an acclaimed solo career, which got a nice boost from having his songs used on the TV show Scrubs. His most recent solo album, Next Year People, came out earlier this year. This interview was for Colin Hay’s concert at the Lobero Theatre on 9/19/15, as part of the Sings Like Hell series. It was done by phone on 8/31/15.